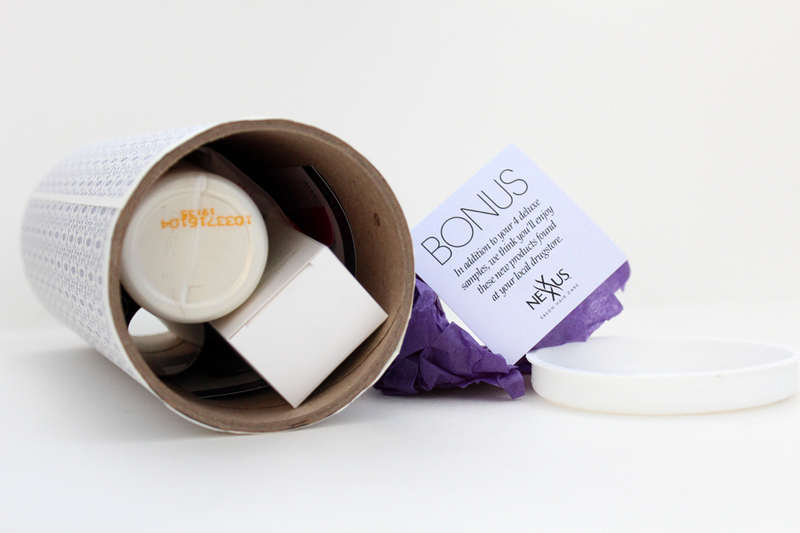 I loved this month's Topbox -- it was jam-packed with lots of different products. It's too bad there's such a looooong wait list for this because Topbox is a great service. I've received an Expression brush before in a Topbox (the bronzing brush) and I really enjoyed using it. 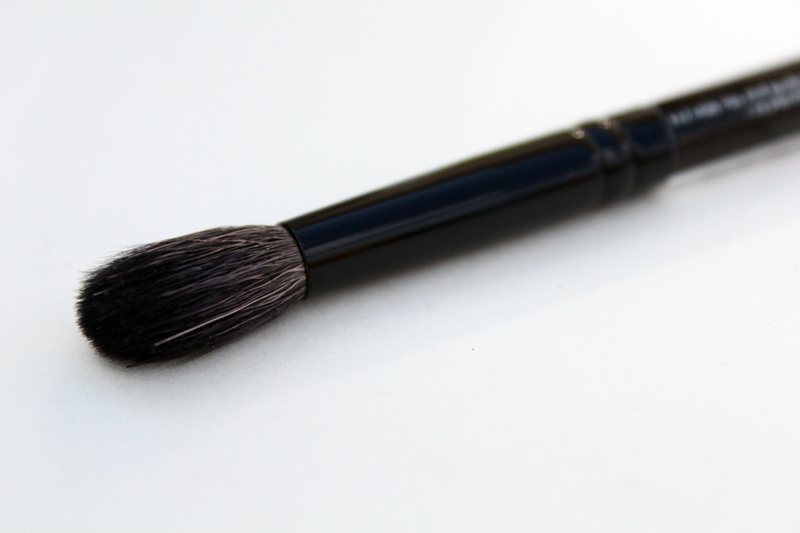 This brush, like the name would suggest, is great for applying / blending eyeshadows in the crease. I like how tapered the hairs are, they're soft and flexible but they hold their shape well. 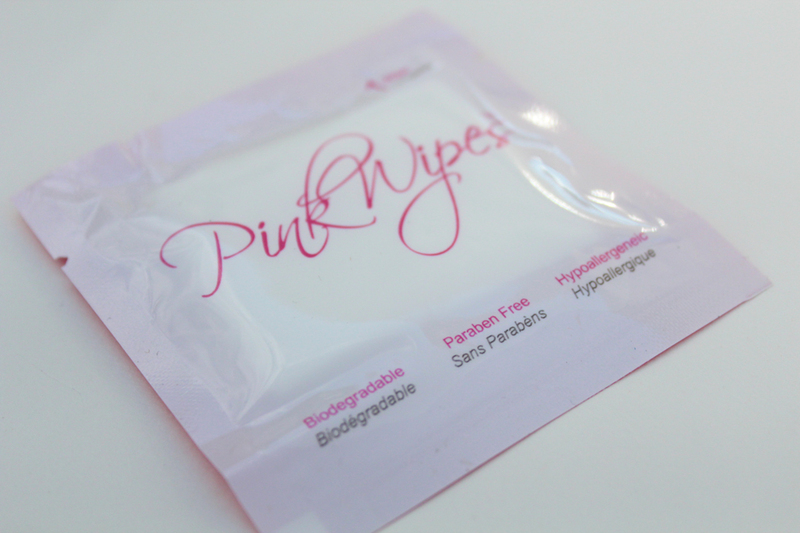 There was also a little trial of these feminine wipes. The packaging is handy on the go. It's biodegradeable, Paraben free, and hypoallergenic. These were another little bonus in this month's box. 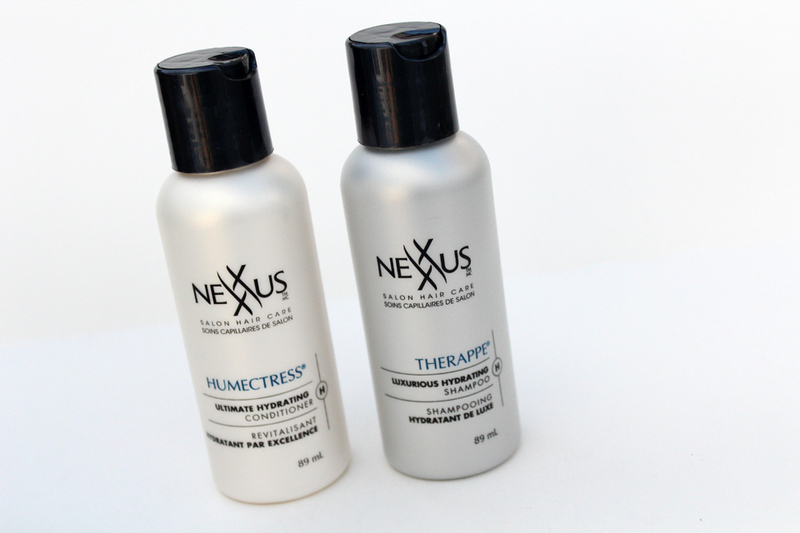 Trial sizes of Nexxus haircare products. I have never used their shampoo or conditioner before, but I have used their Pro-Mend treatment for split ends and love it. While I'm still a little weary about trying new shampoos, I will probably give this a shot. I adore these two bottles! They're so cute! 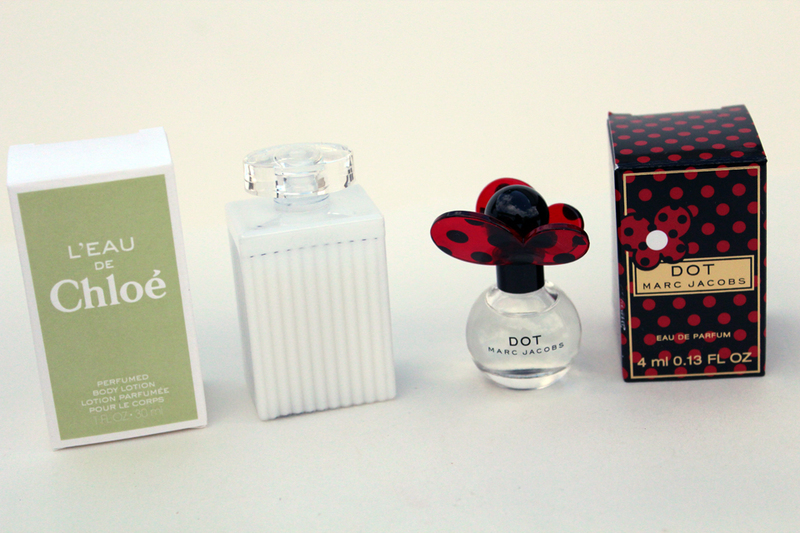 L'Eau de Chloé is a body lotion and Marc Jacobs Dot is a fragrance. If only all fragrance samples could come in such cute packaging. They both smell great! I'm so awful at describing scents, but here's the gist: Dot smells very fruity / florally and Chloé smells delicate / florally. 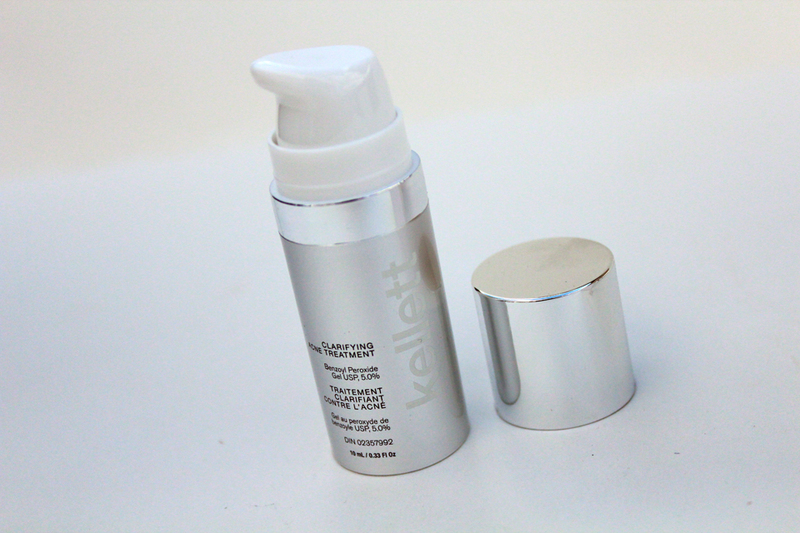 Last product in the box was a Clarifying Acne Treatment. It's like Topbox read my mind this month because I certainly need something like this. I'm still reeling from little breakouts. If this works, I will definitely purchase the full size. This is also a Canadian brand, which is great. I was really happy with this month's box. Not only was the quantity there, but also the quality. I can't wait to see what Topbox has in store for the Fall. "Weary" means tired. What you mean is "wary," which means "Feeling or showing caution about possible dangers or problems." Sorry again, but stuff like this drives my grammar-nazi self crazy. Aside from that, I love seeing the subscription box posts. I wish TopBox wasn't so hard to get, because I'm really getting tired of Glymm! Haha yeah, I know the difference, I always seem to add the 'e' when I'm typing and since I am an awful editor, I never change it. I've been meaning to fix it in at least five posts. Six including this one. Will get to it one day lol. The waitlist for Topbox is ridiculously long! And it's been that way since the beginning. It's off-putting. Great post! Loving your box, I wish the waiting wist wasn't as long ! we got the exact same box this month! it wasn't my favourite month from topbox, but it wasn't bad either. Weee!! Haha I really loved it! I've already used a few products and am really enjoying them so far :). love the fragrances in this box! Way better than those little 2ml testers most boxes give out!